Your yard is full of aggressive insects! Click on the game screen and spray insecticide at them. The Carnival is here! Have fun dressing up these two sisters and doing their hair and makeup. They need to be ready for this great day! 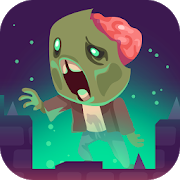 Waves of killer zombies are taking over your town. Put your courage to test, grab the most powerful weapons and get ready to obliterate them. Dodge their attacks and defeat them all! Watch your back! In this fun game you'll have to help a girl get ready for her Carnival party. Choose her hairstyle, her clothes and accessories and do her makeup. Are you ready to party? Take control of these fully-equipped cars on many tracks full of slopes and obstacles. Remember you can spend on upgrades for your car. Choose a ninja and try to defeat your rivals with your katana. There can be only one. Choose one of these two warriors and enter a world full of enemies. Find new weapons and succeed. In this basketball game you'll have to choose a player and enjoy a 1-on-1 game. Do some dunks! Click on the whale and help the ship dodge icebergs. Get as far as you can. It's a good day to enjoy the fair! Aim with your shotgun in the shooting boorh and try to get the highest score.